This one is not as big as some of my recent ones, measuring around 58" x 74". The top has some Oakshott plain and stripes, one Kaffe Fassett stripe, some Kona plains, two of Birch Organics' Charley Harper fabrics and a load of stuff from stash. I used Hobbs Tuscany Wool wadding, quilted with no. 8 perle and bound with one of the Carolyn Friedlander Doe fabrics. I started piecing on 14th September 2014, finished on 28th October. Started quilting 1st May 2015, finished today, 23rd July. That's pretty fast for me! Linking up with My Quilt Infatuation for Needle and Thread Thursday and TGIFF which is at Simply Pieced this week. Looks good. Congrats on your speedy finish! Wow. It is delightful. Well done. I think it is a great lap size quilt, even if it is a bit smaller than you've been making lately. Congratulations on the finish! I really like how the binding can really complete a quilt, and your hand stitching looks great on the quilt backing. So very beautiful, Kaja! Your hand quilting is so nicely done. your work looks deceptively simple and peaceful. Then you note the piecing with subtle color. Then you notice the layout that no doubt took much thought trial and error. Then you notice the hand quilting fact that it lays flat ans square, the binding done well. It's amazing as usual. I love to see what you make, so different from mine. It teaches me each time. What an awesome finish, Kaja. Of course, we've known it all along. I agree with LA: it's subtle and quite but it takes time to notice all the detail and workmanship. And that you do it all slowly, by hand! That's the amazing part to me. Not that I never hand quilt,,,,but including the piecing! I love how you've carried some of the prints on the front around to the back. Really, this back makes for a two-sided quilt. It's another heirloom that your family will enjoy for a long time. Hi Kaja: I really love the quilting on your quilt. That's quite a lot of hand quilting. I also like the flying geese that you worked into the quilt. The red strips and the stripes set things of quite nicely. Awesome, love the quilt and the colors and the prints and and and.....Great finish. Of course we clamber and climb around trying to get a good pic of our quilts. Did you think we had a professional photographer? 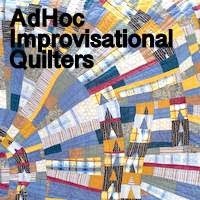 lol Love how saturated the blue is in your wonderful quilt! Congrats on a fabulous finish! The stitching is really lovely. What a lovely quilt, the fabric is fabulous, I love the colors and the beautiful stitching! Well done!! What a great quilt, the back is as fun as the front! Love it!! Congrats on an amazing finish, Kaja! Your color sense never ceases to amaze (yes, I'm using that word again) me. I would never have thought to put the rusts/mustards with the red, blue and gray, but they work so well together, and the birds really pop. I love the quilting, too, and how it shows up so well on the beautiful back. Kaja, It's fabulous! I remembered this quilt as soon as I saw it - who could forget those amazing birds? The colour scheme is perfect. Hand quilted! Wonderful! I remember finding my two year old son perched on top of a chair on top of the table hanging on the chandelier. You finished it!! Congratulations! Your quilting really complements the blocks, it is a very lovely quilt Kaja! Gotta love a finished quilt top!